For media enquiries, contact [email protected]. 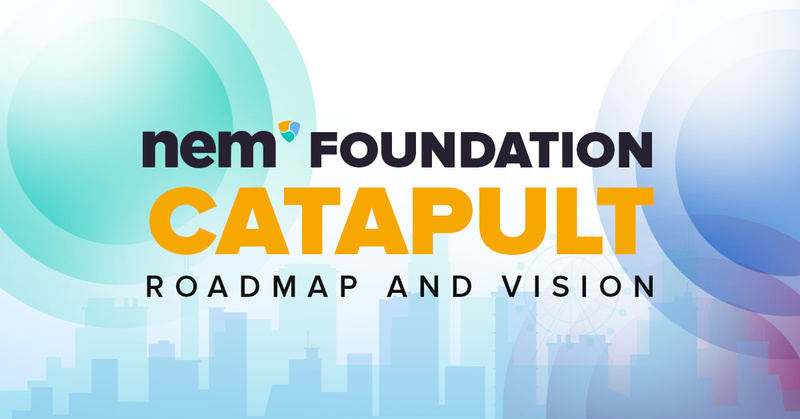 Congratulations and thank you all at NEM Foundation and the developers for the hard work. And thank you, the community, for all the supports. What a birthday gift. 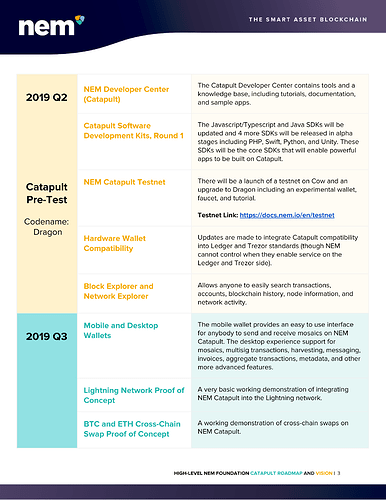 Can Catapult support atleast 10000 tx/s on 2019Q4 ? Thank you! Bright future ahead! 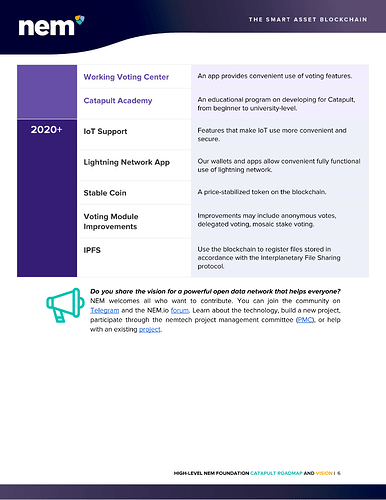 would like to hear more on the new POS consensus algorithm that preserves important features of POI. Would delegated harvesting works the same? Still missing one of the most important questions: how will we switch from nis1 to nis2? Supernodes may look different but that configuration is not up to the NEM Foundation. We hope to include more technical aspects when they are made available from the Core. Hope that helps, keep the Q’s coming! 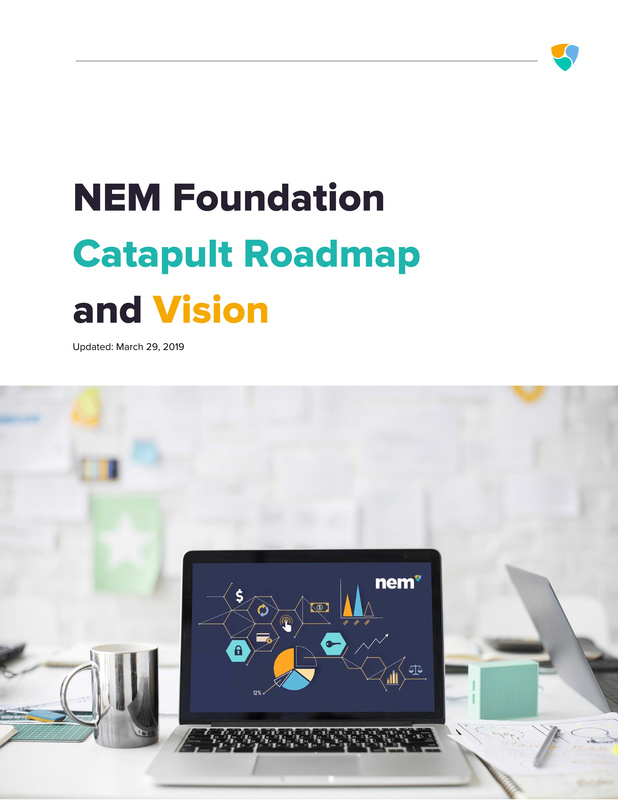 There will be full migration support and documentation made as well as how-to videos and a dedicated channel to assist projects moving over from NIS1 to Catapult. In the interim, do try out the testnet and see how it works. Yes, it will work the same but there will be even more options. The following is a conversation on Github. Nate: This feature is to track the implementation of new harvesting capabilities to be added. The goal is to allow for deployed networks to create a nice incentive structure for supporters of the network to run full nodes and having the ability to get compensated for doing so. BR: A node owner that is letting other accounts harvest is getting a certain percentage of the fees that are harvested. The percentage is the same for all nodes in the network and can be found in config-network.properties. The name is “harvestBeneficiaryPercentage”. The node owner can specify the account that is credited (file config-harvesting.properties, field “beneficiary”). 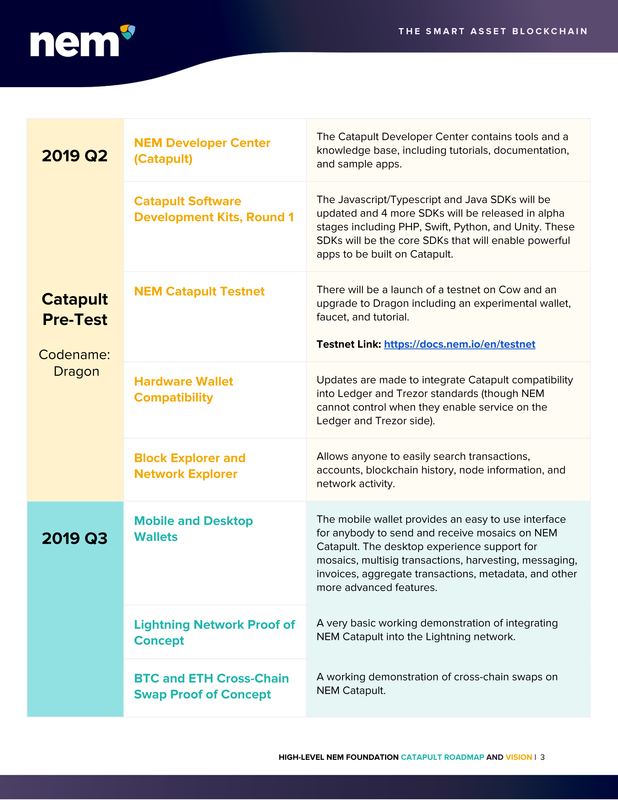 i think have a very small core dev team boomerang us now with way slower release cycles then other big chains thats why we move out of top 20 because we develop like top 100 and not a top 10 coin in terms of development progress and team resources. so im here with mixed feelings the stuff u plan to do sounds good just we where expecting it to be released soon and not end 2019 a first version with many things coming not before 2020. Why is Golang not considered one of the core SDK’s? Please tell me more about this. It is nice to have Golang and it is definitely being considered for the next round of SDKs. 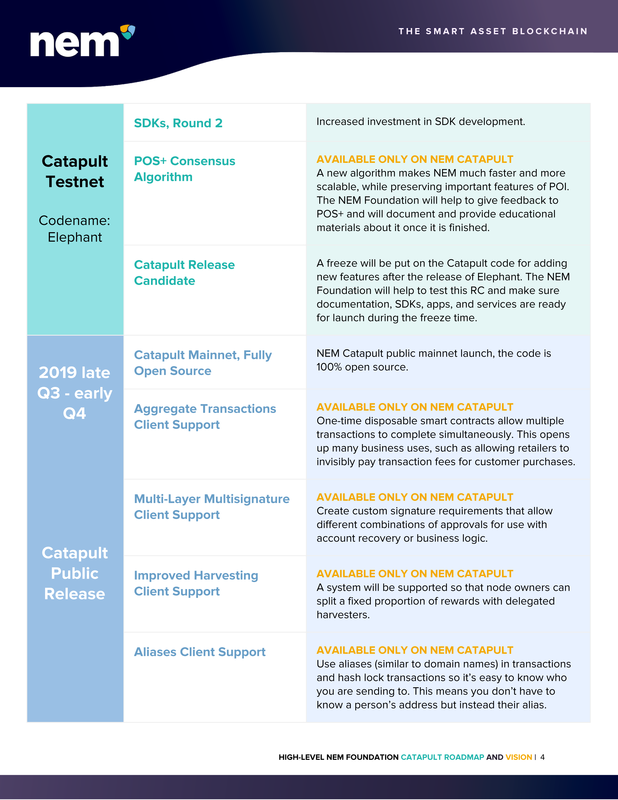 The reason why not all SDKs are being built at the same time is to make sure best practices are set in one, then a few, and then the rest of SDKs to follow so that all will have a clear structure and methodology that that compliments all the other SDKs. 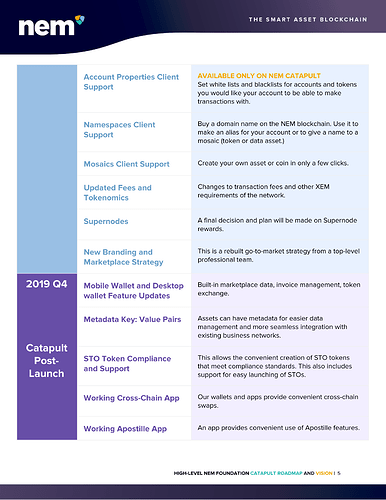 By doing this it makes working across different SDKs easier for many different parts of the ecosystem including the SDK devs, documentors, and devs building on the SDKs. Where as in NIS1 we had 10 different SDKs (often times a few for the same language) and each one did things differently. I assure you the devs have built tech into Catapult that none of the top 10 and definitely none of the top 100 chains have produced. 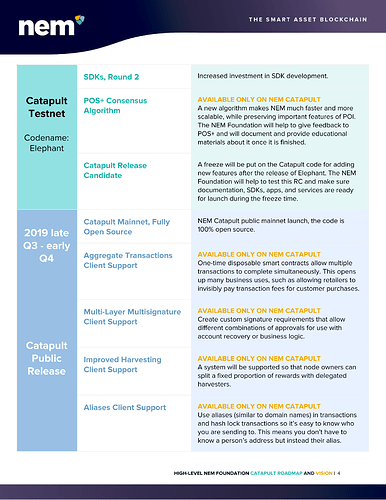 I understand your frustration that development has gone slow, we all wanted Catapult out in 2018 not 2019 but all things considered when I look under the hood and compare Catapult to any other top 10 coin, I’m quite proud of what the core devs have done. 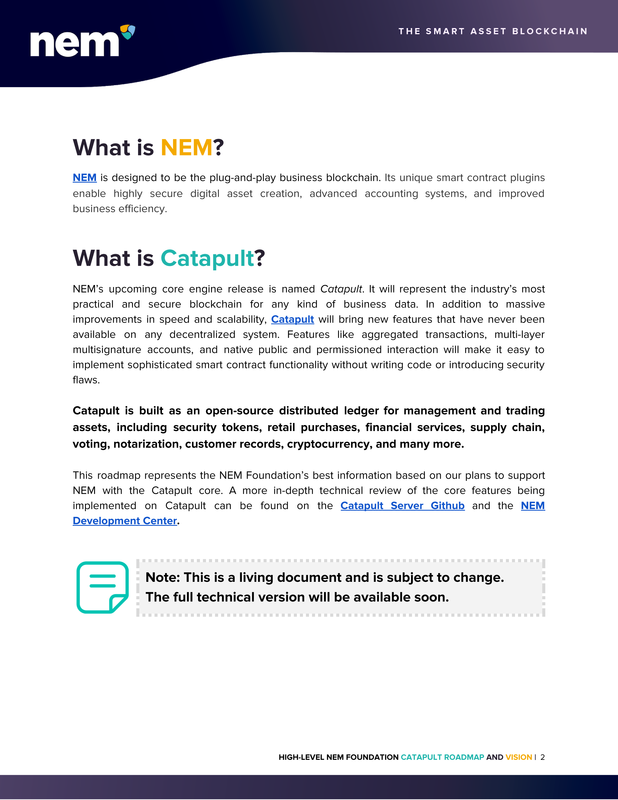 For instance, even if Ethereum gets to POS which we already have, they will still have the Infura problem and nobody is even talking about that because they are so focused on POS as they need that to scale, and yet NEM devs have already solved the Infura problem in Catapult. And this is before Ethereum is even taking it seriously. while statistically PHP etc are more commonly used, I think you will find more forward thinking companies being largely written in Go. You may be getting the number covered with your choices but it’s possible that they’ll be off target. Go should be a priority IMHumbleO. and in case there is lack of resources regarding the GO programming language. Is this a question that any council can not answer ?